I usually do my bulk shopping for the week on Saturdays. I'm already cruising out to the farmer's market for fresh produce, so I might as well find everything else I need, too. Friday I was inspired by reading Emiline at Visions of Sugar Plums' post on relaxing and she has a picture of her father's asparagus. She tells us how proud of it he is and I got this incredible urge to have some asparagus of my own. I've seen it in countless magazines and on a few blogs, but the asparagus and goat cheese tart is one thing that is quintessential to Spring, I think. It seems as if everyone has abandoned Spring and is busy working on the advent of Summer, but I want to hold onto this season for another 20 days or so. I added a few ingredients to make it special and I took it to work to unleash its goodness onto the world. There are still people who are wary of asparagus. I have to admit, I was too, until about a month or so ago. Asparagus can taste nasty. Especially if it comes from a jar. If it's not fresh, it becomes stinky, odiferous, and above all else: gross. Please do not eat asparagus from a jar. It might kill you. And I need you here ... to read and enjoy my blog. 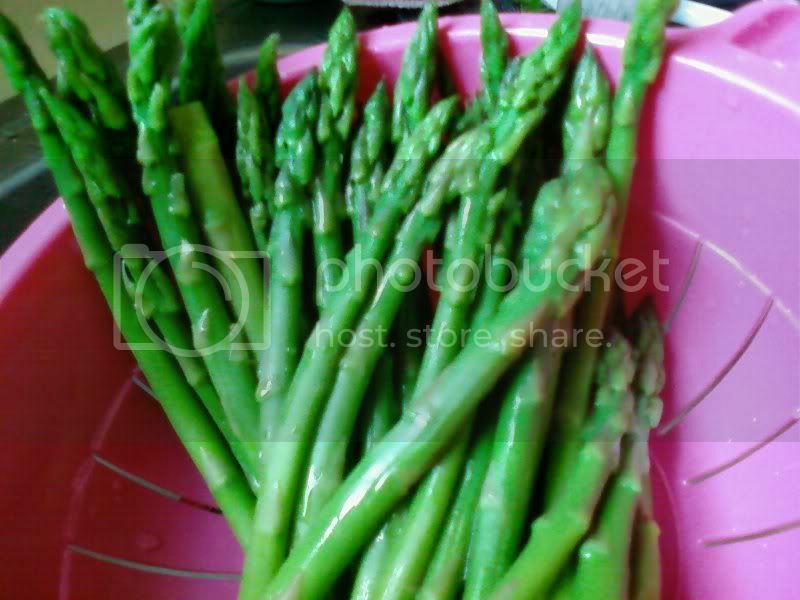 Pretty asparagus. At the cusp of freshness, draining. Into the pot we go! Preheat oven to 400 degrees F. Place puff pastry on a lined baking sheet or greased baking dish. Sweat onions until just past translucent. 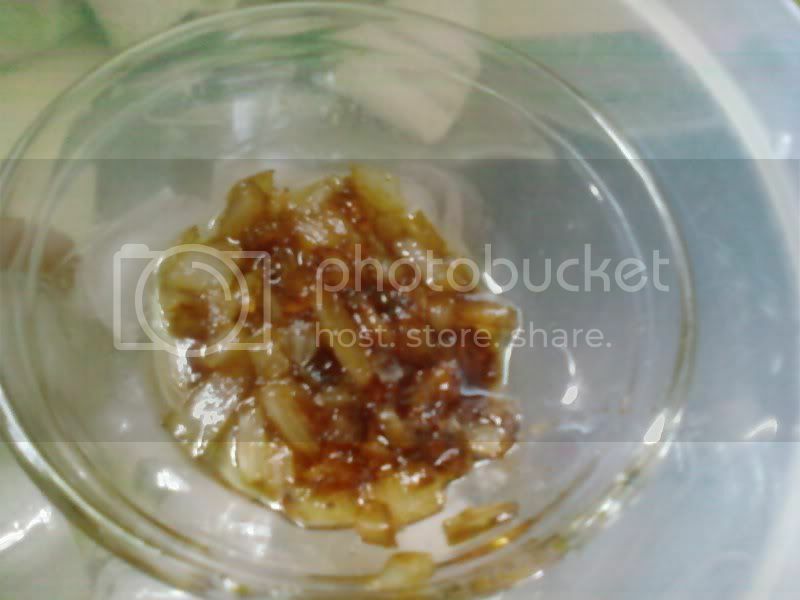 Add white wine and let reduce until au sec and onions are caramelized and sweet. While onions are working, combine cheeses, bacon, egg, seasonings in a bowl. After onions are cooled, add to cheese mixture and spread on puff pastry. 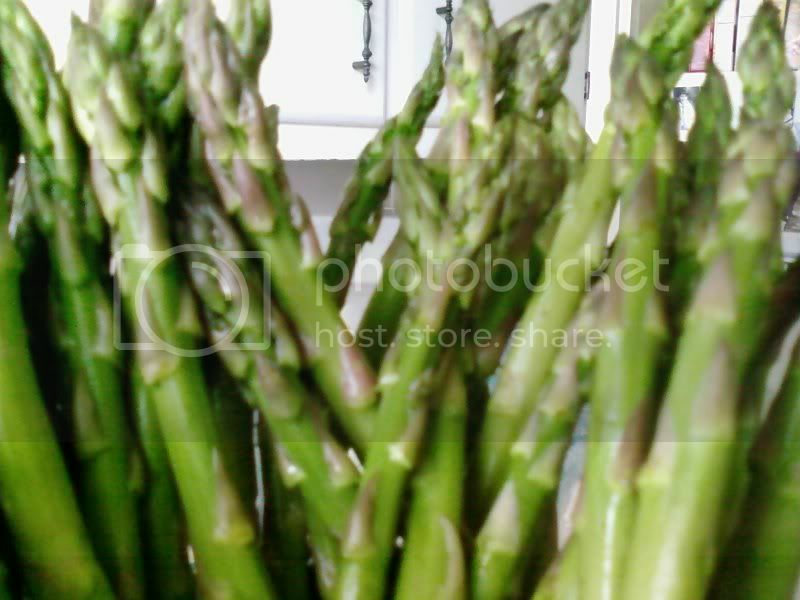 Arrange asparagus stalks on the pastry and spray with non-stick spray, if desired. Bake for 15-18 minutes, until dough is golden brown and cheese is set. Along with asparagus being suspect at times, goat cheese (also called Chevre [French for goat]) is suspect, too--at times. As a kid (ha ha) my mom would put goat cheese and milk in everything for me to eat. Well, Chevre sometimes doesn't taste creamy, fresh, tangy, and wonderful. I've tasted a lot of chevre on my short time on this earth and the best I've ever eaten is from the Goat Lady Farm. It melds perfectly in every dish, every cracker. It isn't overwhelming. It's the creamiest, most consistent cheese out there. Delish!So thats how you spell au-sec-y sec-y. Cute. just stumbled here from Gena's site. off to explore your recipes as Im NOT a cook and always need ideas. Asparagus and goat cheese in a tart?! Yummy! 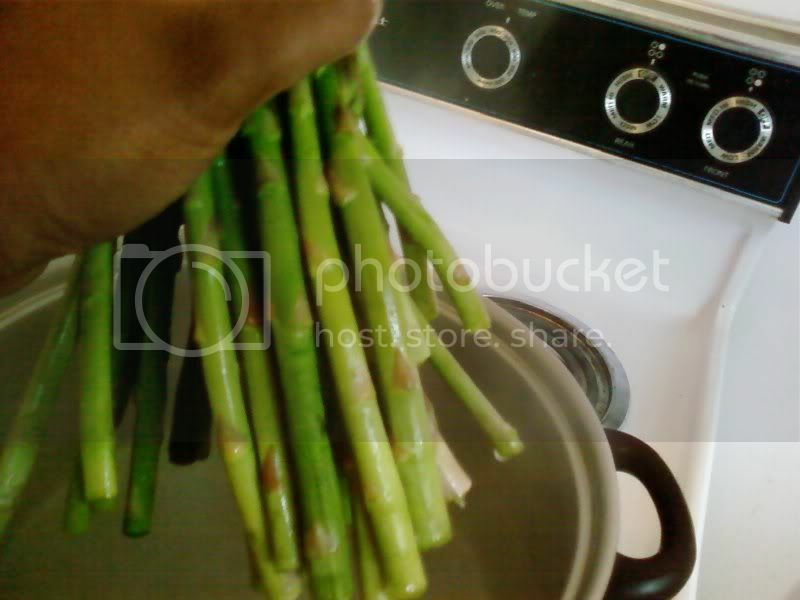 I usually grill or roast my asparagus. What a great idea! I wonder if you could make them bite size for appetizers that you could pop in your mouth. Courtney: I don't know if that's how you spell it, but I thought it was cute, too! Mizfit: Welcome! I hope you come back often! Renee: This can definitely be made into appetizers. Just cut the puff pastry and asparagus into small pieces before baking. I followed the crumbs from the Left Over Queen. We have an asparagus patch, so this part of the year it really is fresh. Lys: Thanks for coming to visit! i have really come to embrace asparagus as of late. I am glad to see so many lovers out there. Heather: Thanks, girl. I know! Love those lilies! For real! ntsc: thank you for coming to visit, too! I wish I had space to gorw things. I have some parsley and that's about it. I have a few spears left over so I think I might follow your suggestion. Salty, fatty goodness in a pan! I've never had asparagus from a jar. I guess I've been spoiled by dad. That tart looks great! That picture really does look like a forest of asparagus. Thanks for visiting Nikki. 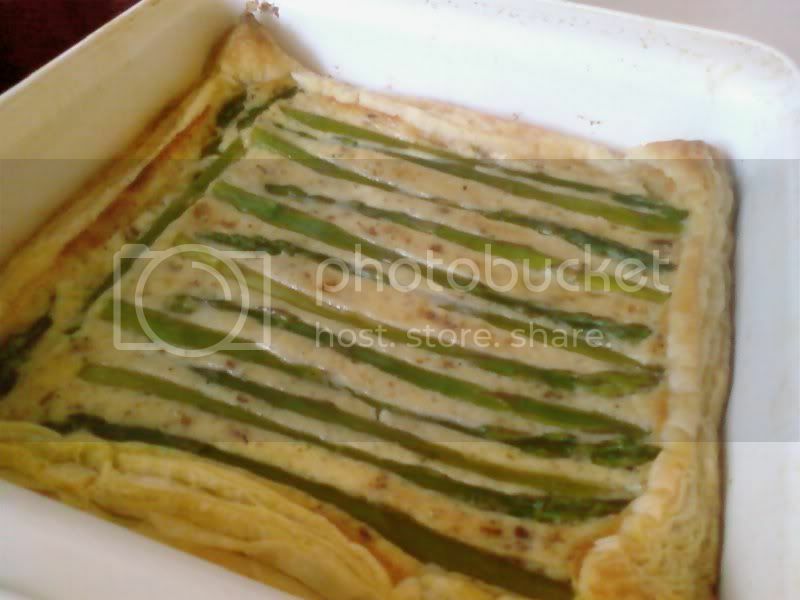 Asparagus and goat cheese sounds delicious in a tart.